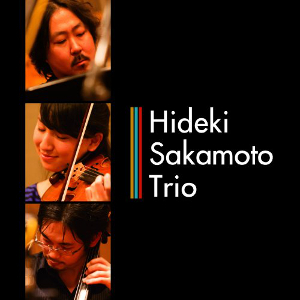 Hideki Sakamoto Trio is an album with music for piano, cello, and violin performed by Hideki Sakamoto, Yoshihiro Uchida, and Ami Oike, respectively. 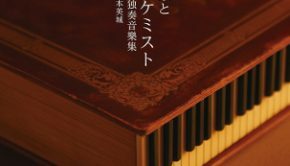 Featuring six songs from various games Hideki Sakamoto has composed, such as echochrome, Toukiden, and Time Travelers, what does this music offer fans of Hideki Sakamoto’s works? The album opens with “prime #7,” from echochrome, and provides the tone of the album. While the original soundtrack for echochrome was done with this type of instrumentation, this interpretation offers a much more romantic approach. Similarly, “Letter” from 428 ~In a Blockaded Shibuya~ offers a fairly straightforward interpretation of the original theme, both in terms of style and instrumentation; however, I feel that this version is much more heartfelt, mostly due to the live instrumentation. “Fridays Are When the Monsters Appear ~ Ending Theme,” from Fridays Are When the Monsters Appear, takes the brass heavy and exuberant original and turns it into a softer piece, although the sense of exuberance is maintained somewhat due to the tempo of the piece. Toukiden features two themes on the album. The first, “Utakata,” takes the Japanese woodwind heavy piece and turns it into a more romantic tune, thanks to the strings work, but it also manages to retain some of the original atmosphere of the piece. The other, “Demon Slayer,” takes the bombastic original and turns it into a much less powerful version. The overall idea of the piece is carried through, but due to the limited instruments, it definitely lacks the power of the original. With that being said, the melody itself is quite beautiful and does translate nicely to a softer sound. 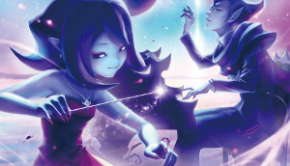 The last track on the album, “The Final Time Traveler,” takes the vocal theme for the game and turns it into a beautiful instrumental ballad. The limited instruments don’t carry over the power of the original, but it is an extremely pleasant listen and an excellent way to close the album. Hideki Sakamoto Trio, being only six songs long, is definitely in the EP category of music. What’s presented is well performed and beautiful music for a trio of instruments. While not every song manages to sound entirely different from their originals, the overall experience is once that is quite lovely and has a fair asking price for the content featured on the album.